As an international business, the ElringKlinger Group has established a worldwide supply chain that is expanding continually as the Group achieves regional growth. 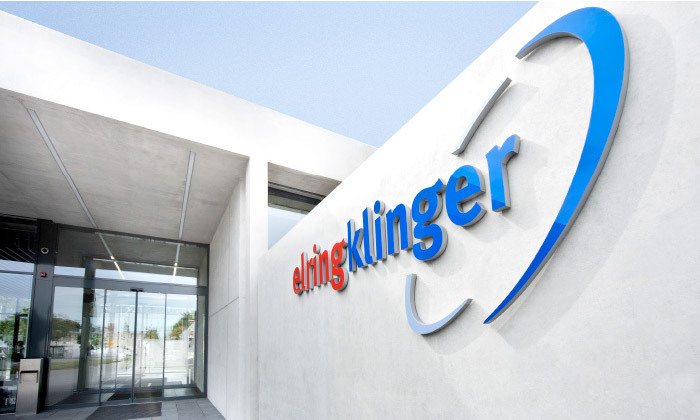 Procurement for the ElringKlinger Group is overseen by Central Purchasing at the company’s German headquarters in Dettingen/Erms. The ElringKlinger Group checks and audits its suppliers in accordance with international ISO standards and the company’s own stringent quality and environmental guidelines; this approach ensures risk is minimized in the selection of products and the nomination of suppliers. At the same time, prerequisites are created with a view to securing a presence as a purchasing organization within local markets and thus exploiting global cost potential. Manufacturers are responsible for every aspect of their products – how they are made and used, and how they are recycled or disposed of. As the products made by ElringKlinger are incorporated into other end products, the Group does not usually arrange for their recycling or disposal. For this reason it is important to provide details of the material and chemical composition of semi-finished products and components using a standardized materials database. The IMDS (International Material Data System) is now firmly established within the automotive industry as a method of exchanging and managing data, and is regularly updated by ElringKlinger. ElringKlinger avoids using materials that are extracted or marketed under the control of violent military or paramilitary groups. The list of “conflict minerals” includes tantalum, tin, tungsten, and gold. Some of the raw materials in this category come from the Congo and neighboring states and are used in certain cases to finance ongoing conflicts in these regions. Such materials are incorporated in tiny quantities into the products made by ElringKlinger. 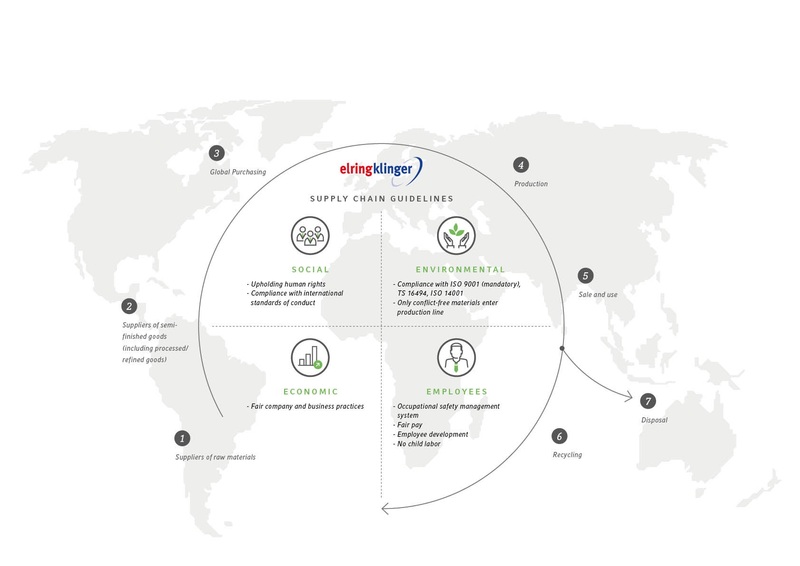 To ensure that only conflict-free materials enter its production line, ElringKlinger maintains close contact with its suppliers and knows the origin and source of the raw materials it purchases.